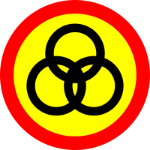 SUPP still did well at the Sarawak elections of June 1963 but it left one-seat-short of a majority to form government, thus it remained as the opposition party. On 16 September, Sarawak together with the Federation of Malaya, Singapore and North Borneo (Sabah) jointly founded the Federation of Malaysia. With a "Sarawak for Sarawakians" ideology – SUPP's movement gained widespread support, including winning big in the local elections of November 1959, alarming the then ruling British colonial government. In the 1996 Sarawak election, its then president, the late Wong Soon Kai was defeated and thereafter decided to retire from politics. A similar situation happened in 2011 Sarawak election when the then party president, George Chan Hong Nam was unseated. It also lost at the Sibu by-election of 2010. In the 2013 Malaysian general election, the party won only 1 out of 7 seats contested. Not long after, Wong Soon Koh, who was then the deputy secretary-general, left with his faction and eventually set up a separate splinter-party with a similar-sounding name, called United People's Party (UPP). in the 2016 Sarawak election when SUPP, with current party president Sim Kui Hian at the helm, went on to win 7 seats out of 15 contested. After establishing new leadership line-up and reforms, the party placed renewed focus on the pursuit of more Sarawakian autonomous power and rights . Abolition of curfew in Controlled Areas. Operation Sri Aman – restoration of peace and stability. Release of political detainees and rehabilitation of returnees. Ensure political stability, racial harmony and socioeconomic development of Sarawak. Transforming Sarawak into an economically vibrant State with good infrastructure and management. To promote and safeguard the interest of Sarawak within the context of Malaysia. To foster and promote goodwill and racial harmony of all races in Sarawak. To promote and ensure economic, educational and cultural advancement of all races. To strive for equal status for all people irrespective of their racial origin or creed in the State of Sarawak. Generally to do all such acts and things not a numerated in the preceding sub-articles for the well being of the Party. To co-operate with other political organisations with similar aims and objectives on a Malaysian basis in joint political activities. To promote and safeguard the interests of SARAWAK within the context of MALAYSIA. To maintain, foster and promote goodwill, racial harmony and unity of all races and to inspire the people of SARAWAK with a spirit of self-reliance and endeavor. To promote and ensure the economic and cultural advancement of all races and particularly to improve the economic conditions of all workers and those who are economically backward. To establish by constitutional means a fair, just and equal society for all peoples irrespective of their racial origin or creed. To establish a tertiary institution to offer diploma and degree courses in business/commercial studies and technical training – The Sarawak United College – which was officiated by YAB Chief Minister on 23 July 1996. To enhance the standard of primary education through community educational projects involving party members, party machinery, parents and members of the public. To set up an in-house training centre. To set up a research & resource centre.